Loretta Lux's pearly portraits capture the childhood innocence you can't quite remember but long to understand. They are somewhat Victorian in style and yet also futuristic, as if made by aliens in an attempt to construct the natural image of a child. The representations of children are both ghosts and porcelain dolls. Lux's images capture the essence of childhood purity, not as it really exists but as imagined by grown ups... Isolated, full of secrets, unphased by time, not quite able to distinguish between reality and a dream. Her pieces are the result of grown-ups playing pretend. Why do depictions of something so pure, fantastically so, make us feel so uncomfortable? The painterly photographs are digitally composed and enhanced. 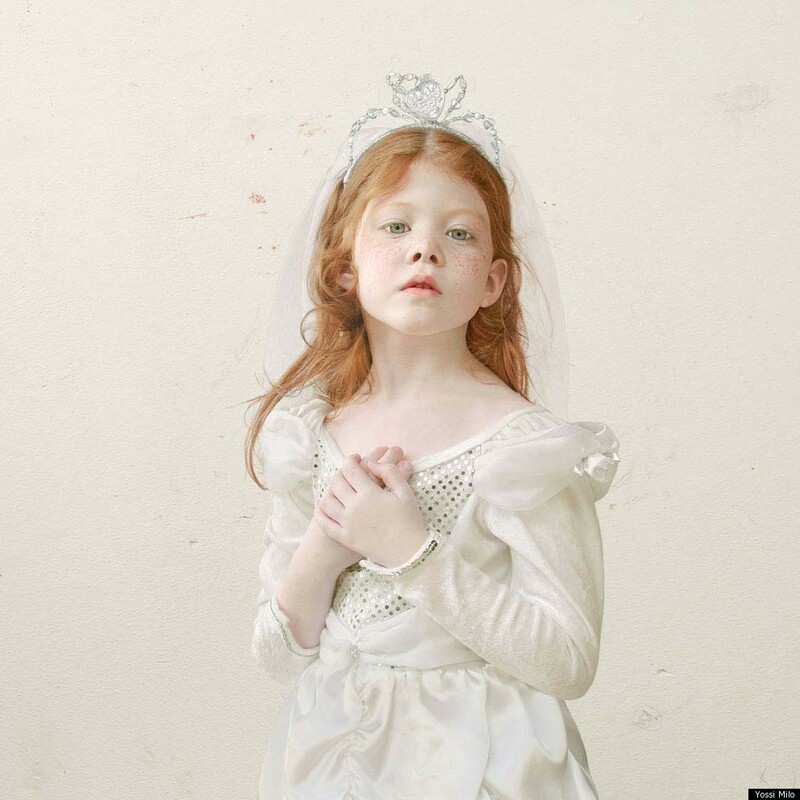 Lux takes photographs of her friends' children and digitally places them into a painted, mythical setting. The otherworldly lighting, offbeat proportions and prepubescent beauty catch our gaze and grip it tightly. 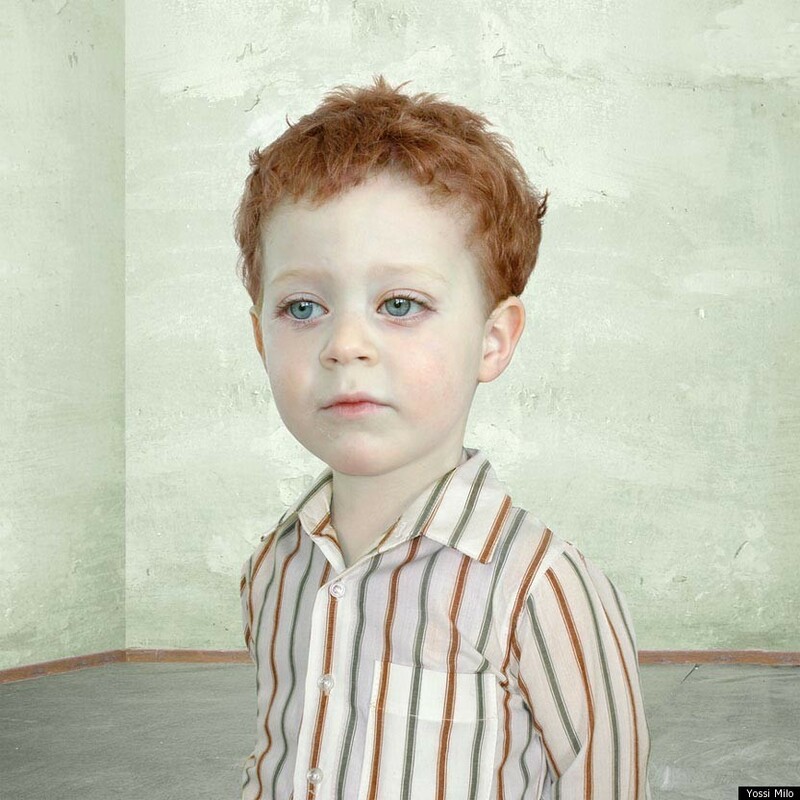 The portraits play with the societal disgust for one who looks at a child for too long. Perhaps not just societal, but emotional as well, for even looking at the works in private will evoke a sense of discomfort. This is where the medium of Lux's pieces becomes especially powerful. While a painting invites you to endlessly mull over its contents no matter how perverse, these photographs contain a realism that will trigger frantic unease. Gaping at the perverse doesn't rack as much guilt as gaping at the innocent. Explore the lonely and mysterious fairy-tale spaces captured in Lux's collection. Both perfectly innocent and ripe with insinuations, Lux's works are as mysterious and unattainable as lost childhood itself. Lux's work will be featured in a group exhibition called 'First Look' at Yossi Milo Gallery, where she first exhibited her work. It will run from January 26- February 25. As you go through the slideshow below, let us know if you think Lux's works are simply neo-aristocratic portraits for the contemporary age, if they are indulging in a strange obsession with youthful beauty, or if there's something else you can't quite place. We'd love to hear your thoughts!